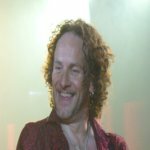 Def Leppard guitarist Vivian Campbell was interviewed yesterday by WRFX 99.7 and the full audio is available to listen to. Vivian says that the 2014 tour is due to be announced in the next two weeks and hints at an interesting tour mate. Which seems to suggest the recent rumours are indeed true. Vivian talked about the original Slang album (recording and the songs), the Slang Deluxe Edition release, the VIVA! Hysteria residency/concert film and 2014 touring. The full interview can be heard below with Vivian starting at 3.56mins in. Visit the Tour News section for more news on future tour plans. "We're gonna be touring this summer. We're not necessarily touring off of Slang, no we have tour plans this summer which I'm not at liberty to disclose because they haven't signed all the contracts yet. But that should be announced imminently within the next week or two. The details and the dates on that but and when you hear the announcement of who we're touring with you'll understand why we probably won't be playing a lot of the Slang record."